We inspire Responsible Pet Ownership of Tennessee Pets. We provide education and solutions for people who are in need of relocating a pet or accidental litter, while diverting intakes at Shelters or Rescue Organizations. We offer FREE Spays & Neuters for both parents of accidental litters. *At this time we provide care and support for Canine Companions only." ​We network Nationwide with Pet Care Professionals to provide excellent care for Tennesse's Pets and Pet Owners. We support our Team of Excellent Veterinarians as they support and provide the best care possible for Tennessee's Pets and Pet Owners. We couldn't do what we do without the care and support of our Tennessee State Licensed Veterinarians and their Staff. Within this network Veterinarians refer Pet Owners that need relocation assistance to the Pet Placement Assistance Program, and we in turn use their services for animals accepted into this program. We provide education and resources for Pet Owners of Tennessee that are in need of relocating a pet, stray, or accidental litter. 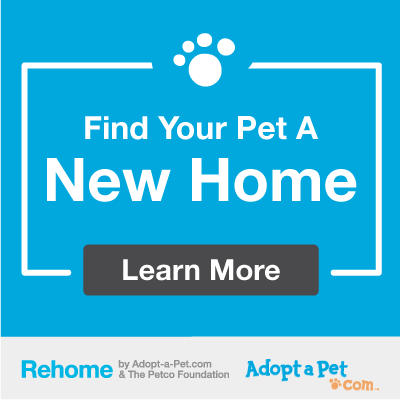 Pet Owners are encouraged to read our Pet Relocation Best Practices Guide to assist you in finding a forever home for your Pet. If you'd prefer us to help in the Advertising Process please Submit Assistance Request Form after reading the Guide above. This program supports Pet Care Professionals, Municipalities, Animal Shelters, Rescues, Groomers, Trainers, Boarding Facilities, and Pet Supply Stores as they support the Pets and Responsible Pet Owners of Tennessee. We provide Advertising and Networking solutions to build a stronger Pet Care Community. Thank you for your interest in having the Tennessee Pet Placement Assistance Program help you find a home for your dog. We appreciate the fact that you are interested in finding the best home for your dog, or the dog you are trying to help. We offer a wonderful re-homing program where we can work with you to find a loving adopter for your dog. Through this program, we have adopted out many dogs over the years and our proven program can certainly help yours as well. In this section you will find details on how we can help to find a loving home for your dog. o You must have access to reliable transportation (Clients need to provide transportation to showings with screened applicants and veterinary appointments). o You must agree to keep the dog(s) in a safe and secure indoor environment until a new home is found (average placement time ranges from 2-4 weeks depending on the age, nature, and health of the dog). If this isn't possible please let our team know on your application. o If you are able, we ask that you take financial responsibility for veterinary care. If you are not able to meet the above criteria, please let us know, and we will help you locate an Animal Shelter or Rescue Organization. Please feel free to retain our program information as shelters are often full to capacity. Thank you for caring about the animals. Whether this is your pet or a homeless dog you’re trying to help, we have animal welfare professionals ready to help you! Our network is comprised of volunteers that are animal welfare professionals who donate their time to helping pets in need. Their assistance is free of charge, and we do gratefully accept donations. We are very successful in placing pets directly from client homes into new homes! You can feel confident that our Network's combined experience has placed over 10,000 animals in 48 states. We are experienced in helping you relocate your pet! We are commited to well being of the Pets of Tennessee. To sign up for this program, fill out the online application, and we will be in contact with you within 24hrs. ​ Good pictures are imperative. You can help us by sending us photos showing a clear picture of the animal using a contrasting background. For success with advertising you must take the time to get a calm, relaxed photo that does not present the pet as aggressive or frightened, and shows the pet either sleeping soundly or "Alert & at attention." ​Click here for more tips. A good video of your pet playing, snuggling, or being loving is extremely helpful in getting your pet into a forever loving home.  Adoption Contract that ensures the pet's wellbeing for life.  Post adoption follow ups. We are forever commited to the animals accepted into the program. A donation to the Tennessee Pet Placement Assistance Program is appreciated once the adoption is finalized. To sign up for this program, fill out Assistance Request Form, upload Veterinary Records, Incoming Dog Profile and Photographs. It is important to note that this program does takes some time, so please return the information as soon as possible. After we receive your information, you will be contacted to schedule an Evaluation where we will meet your dog and begin our placement process​.